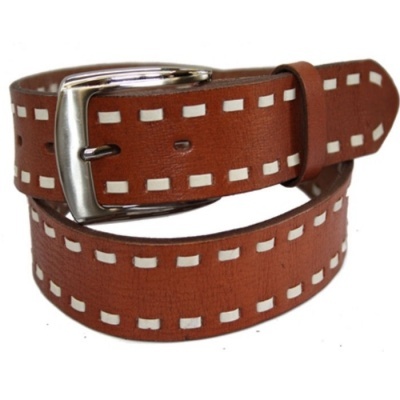 These saddle stitched brown leather belts have been made especially for us at Rocket Originals. They are really well made from top quality brown buffalo hide leather in a rich tan colour with a cream stitch design. They have a chrome buckle and a leather keep. 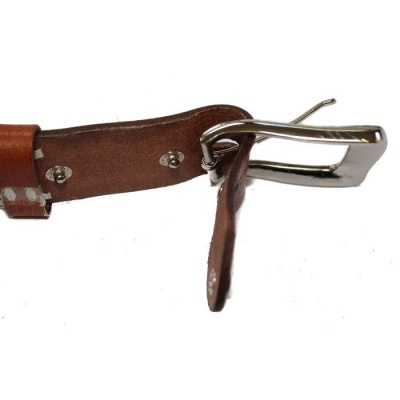 The buckle provided can be detached enabling you to easily attach a different one in seconds. 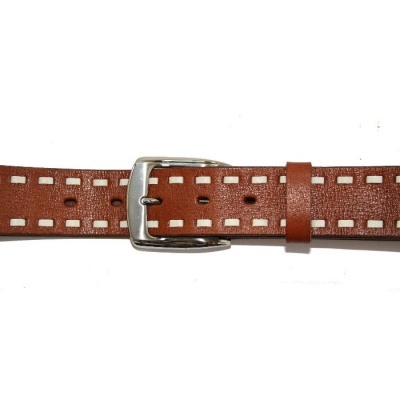 These belts are 1 ½ inch (3.5cm) wide. The length of these belts is smaller than our usual size so make sure you check the size guide before ordering as you will need to size up.